A Freret corner store’s request for permission to sell alcohol and a proposal to allow conversion of a Lower Garden District warehouse into a film studio — two ideas that had drawn wary interest from their respective neighborhood groups — were both approved this week by the City Council. 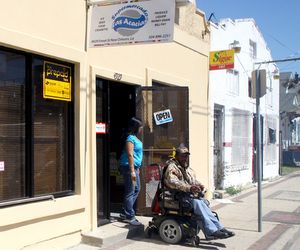 After finding strong opposition from some neighbors at earlier stages in the process, Supermercado Las Acacias on Freret Street appeared before the City Council on Thursday with the news that it had come to terms with the Freret Business and Property Owners Assocation and Neighbors United by way of a good-neighbor agreement. Under the terms set by the City Council, Las Acacias will be able to sell alcohol as long as it is packaged for off-premises consumption. Beers must only be sold in six-, 12- or 24-packs, and the store must close at 10 p.m. No pay phones or video poker will be allowed. Those conditions are mostly designed to reduce loitering, as neighbors have said the past behavior of people around a previous store at the same location forms the basis for their opposition today. Alba Sanabria, operator of Las Acacias, told the council she believes blame for the loitering was placed on the previous store unfairly. In her remarks agreeing to the conditions set for the store, Kellie Grengs of the business-owners association suggested that absenteeism by Le remains a problem. “Once we bring the property owner, Mr Le, to the table, who I have yet to ever even meet — he was not at the zoning meeting, or this meeting, even though we were told he would be here — once we get him to the table to sign this good neighbor agreement, the document can be executed and we can move forward,” Grengs said. After the “yes” vote was taken, Reed asked how soon the store could get its liquor license, even inquiring about the possibility of a temporary license, and the council told him he would have to wait about four weeks. For technical reasons, a three-week delay is required after Thursday’s vote, said Councilwoman Stacy Head. Assuming the good-neighbor agreement has been signed, Las Acacias will then be placed on the “consent agenda” of the June 16 meeting, where it will receive final approval among a raft of unopposed items – a “formality” and a “done deal,” Head said. 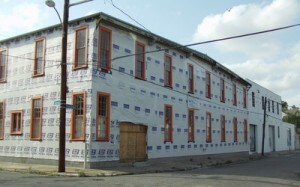 Commerce on Constance | Drawing significantly less conversation Thursday was Joey K’s owner Sam Farnet’s request to rezone a century-old warehouse in the 1500 block of Constance Street to be used as a film-production studio, similar to Second Line Stages a block away. Neighbors had worried that the mixed-use zoning suggested by the planning commission was too permissive, and that if the film studio project they supported fell through, they could end up next door to something as foul as a chicken-processing plant. Head, however, said that a different zoning classification would be acceptable for the project, the B1A neighborhood-business designation. Without any speakers for or against, the council quickly rezoned the lot from its residential zoning to Head’s suggestion. Subway, but Subway only | Finally, a request for a conditional use to open a Subway in one of the storefronts near the River Garden Wal-Mart was met with limited approval. At Head’s recommendation, the council granted approval for the property to be used for fast-food, but only for “deli-style sandwiches,” a restriction that Head said will require additional council approval if a different fast-food store wants to open there, such as Burger King or McDonald’s. Contact Robert Morris at rmorris@NolaMessenger.com, or post your comment below. Personally I’m glad that Los Acacias will sell alcohol. I’d rather run to my corner grocery store to pick up a six pack and support this small business vs. having to drive to a larger supermarket that has no problems getting patrons.